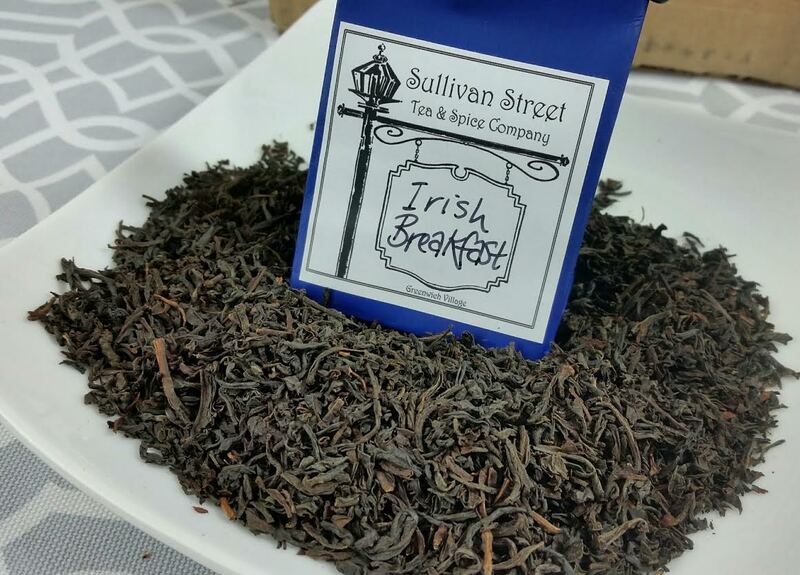 Irish Breakfast- This is the strongest of our morning blends, a full-bodied, brisk cup. Stronger than our English Breakfast, great with milk. 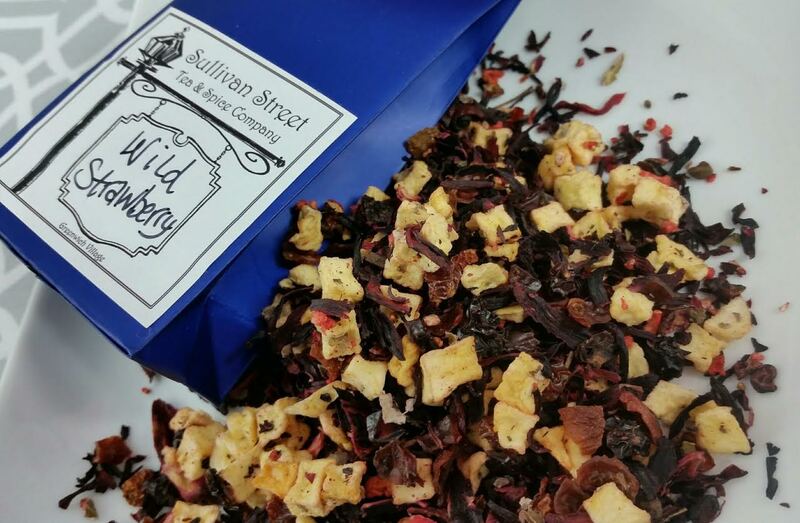 Wild Strawberry- This is a tart blend of apple pieces, fresh strawberries, hibiscus flowers and rosehips. It's a rich rosy pink, thanks to the hibiscus, smells like heaven and tastes divine! Love it! 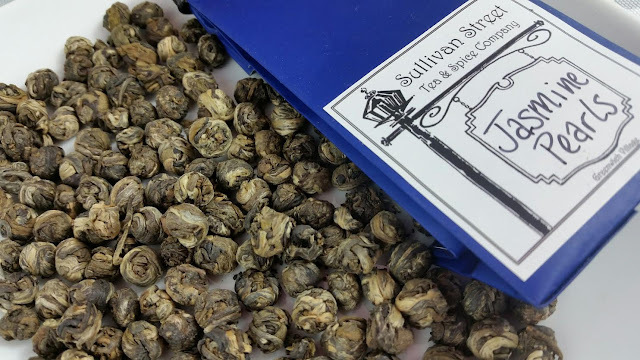 Jasmine Pearls- This tea is hand-rolled into the little balls you see. Once jasmine flowers are in bloom, the tea is combined with the flowers to absorb their fragrance, then dried to reduce moisture. It's a ridiculously time consuming process but it's a wonderfully fragrant, delicate tea. 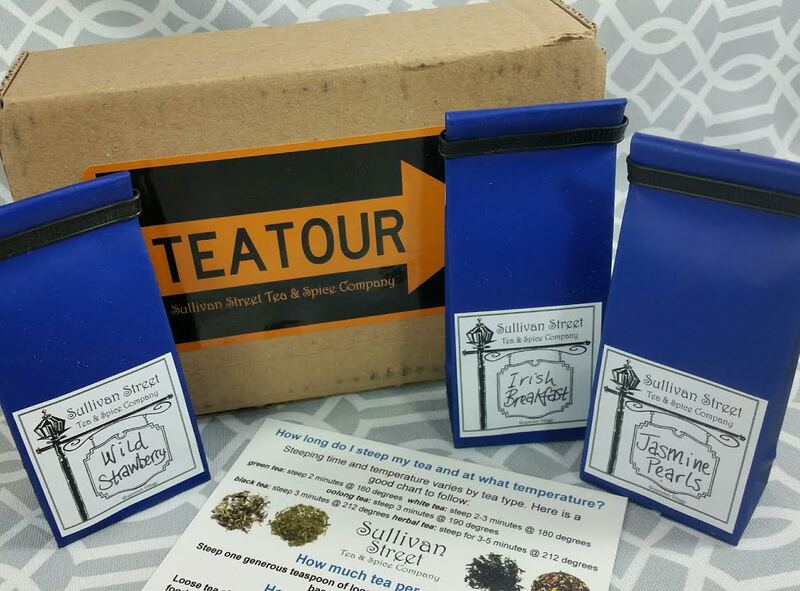 If you're new to tea and wondering how to brew it properly, TeaTour includes a card with all the details! I find herbal tea is pretty forgiving but if you steep black tea too long it gets quite a bite. VERDICT: I absolutely loved the Wild Strawberry! I've had it every day since the box arrived. I'm pleased with how much tea is sent, it's enough for many giant mugfuls. It's also a reasonable price and the quality is vrey good. 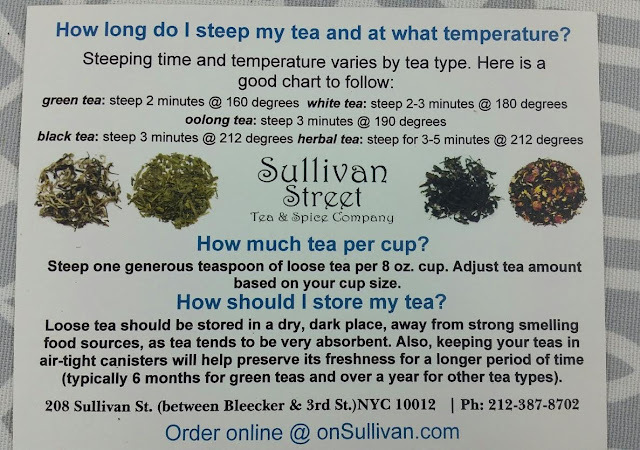 Some tea subscriptions are fun but much too pricy for me. This is perfect and shipping is free. If you would like to sign up for TeaTour, you can do that here. You can also check out their online shop, too. Do you get tea subscriptions? I've received a couple over the years and always enjoy them. *This was sent to me complimentary for review purposes. All opinions are mine. I LOVE Tea Box Express because they add such unusual extras that go with a cup of tea as well as a nice sized canister or box of tea. I am undecided between the Purist and the Flavor in the Mix that you have. 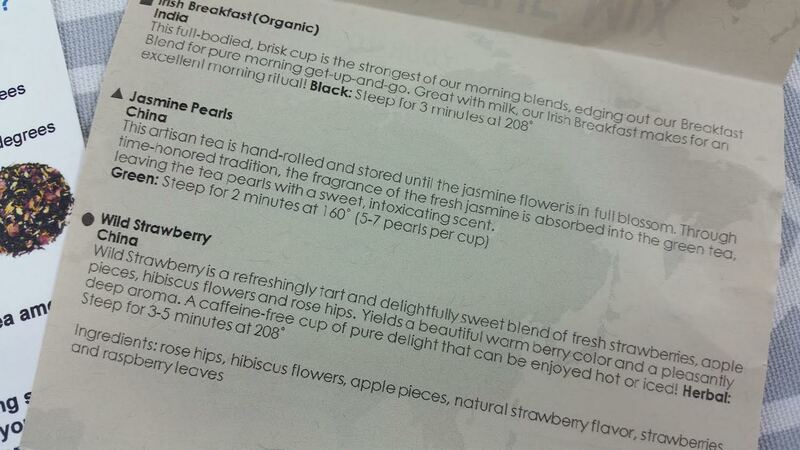 It's still strange to me to see tea that looks like little flower blossoms, LOL. I come from the South, where tea is served one way- iced, sweet, and either Luzianne or Lipton. BORING! Plus, I haven't liked " sweet tea" for many years. I inherited a set of 12 of the prettiest emerald green tall iced tea or Collins glasses from a great aunt who was born before the turn of the 20th century... My mother gave them to me a few years ago, and now I'm getting away from using them. I remember how weird they all thought I was as a young child because I wanted to drink my tea hot, just brewed, not cold, and no sugar added. Whenever I'm in Texas I get sweet tea because we don't have it here where I live. I *love* it but that's probably because I get it so rarely. My mom is the one who started me on tea. She loves it, too, so we are always mentioning new fun ones we've found. I like Teabox Express because there are so many extra things inside. Like cookies!